I completed my first week on the Atkins 40 plan in the beginning of November and was pretty pleased with the results. It was really easy to follow and there was nothing special to purchase to do it. 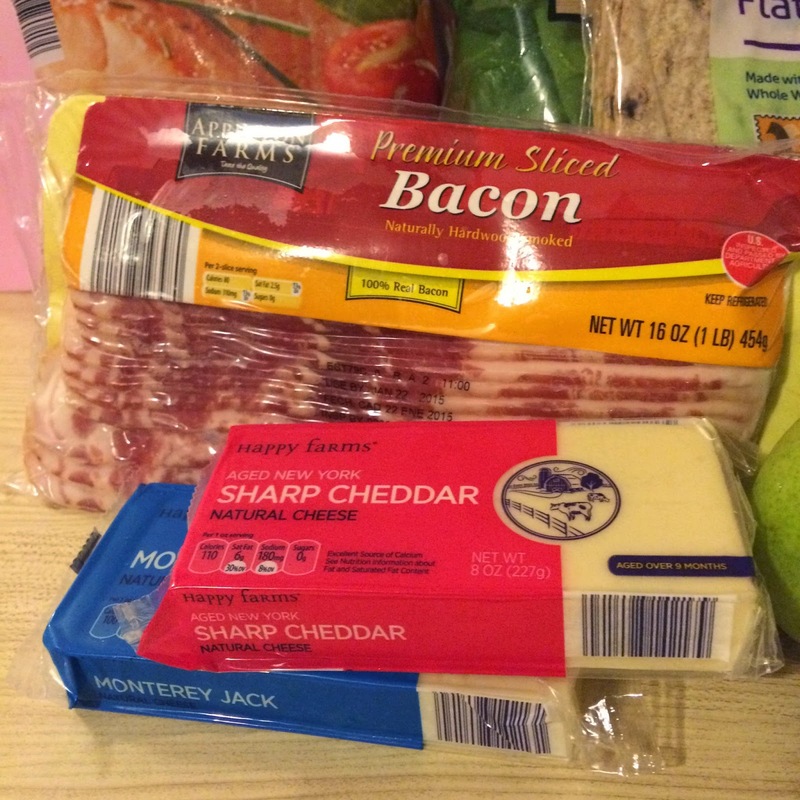 I was never hungry and got to eat foods I enjoy like bacon, eggs and cheese. I was doing good on the plan and losing weight but then the holidays came along and I gave into temptation and had foods I wasn't supposed to have. I did exercise some at home but with all of the events and holiday parties I went to I couldn't find time to continue my home exercise. It is the beginning of the new year and like most people I have set my New Year's Resolutions. 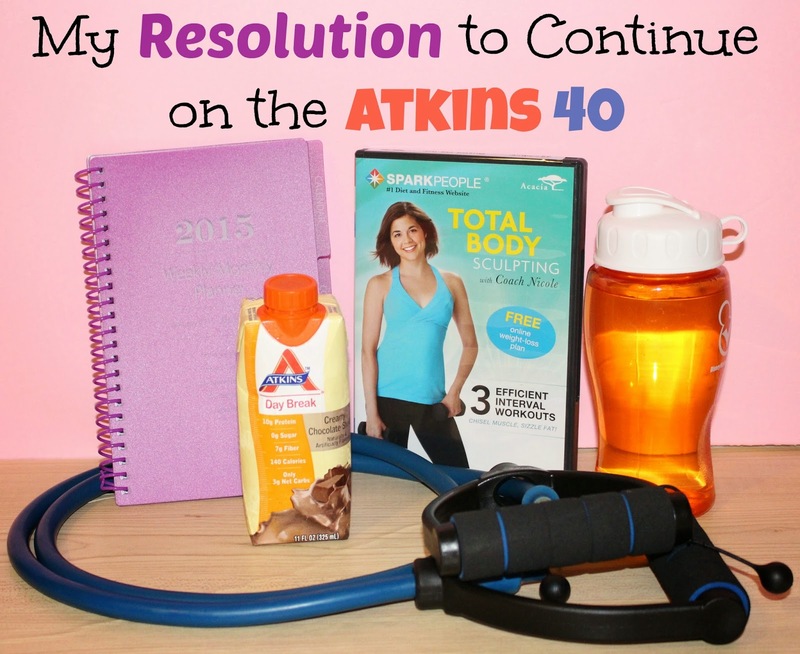 I am going to be continuing on the Atkins 40 and continuing my weight loss journey. I am not where I want to be with weight loss but I am still less than what I started with last year. To help myself succeed I purchased different Atkins friendly ingredients like almond flour, psyllium husk and natural carb free sweeteners. I want to create low carb versions of my favorite recipes so that I never have to give in to temptation. I also purchased a planner to keep me on track and plan ahead. Another way I am going to make myself successful is to have low carb snacks on hand. 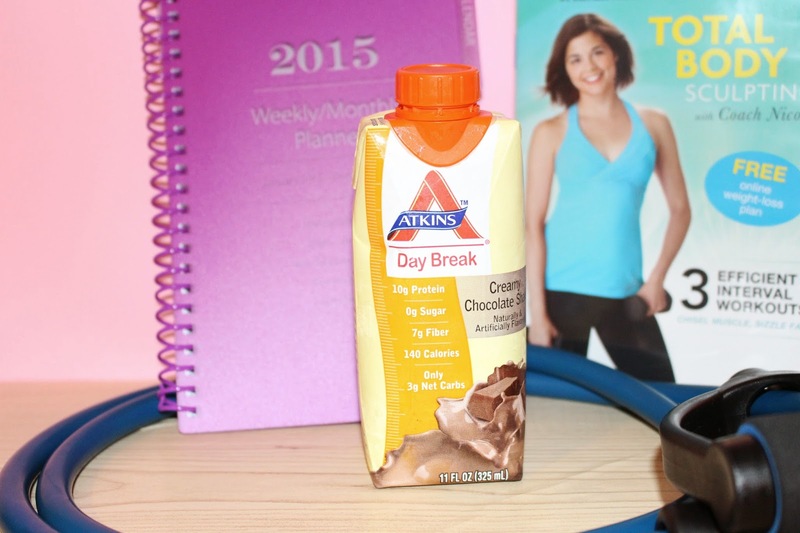 I love snacking on hummus and vegetables, Greek yogurt and berries and of course the delicious and great on the go Atkins bars and shakes. You can get information on the Atkins Plan and create your own meal plans by going to http://www.atkins.com. Be sure to follow them on Facebook and Twitter to get all of the latest information.